The AAST Fellow Program is a means of recognizing those who have made significant and sustained contributions to the field of sleep technology. Fellowship recipients must be credentialed in sleep technology by a nationally recognized organization for at least 15 years, and have been a regular AAST member, in good standing, for the last 10 consecutive years. AAST Fellows have also attained distinction through significant professional service to the AAST and to the field of sleep technology; significant professional contributions to the field; or prominent leadership, influence, and achievement in clinical practice, education, or science. Nominations are evaluated annually by the Fellowship Selection Committee, consisting of AAST Board members and previous AAST Fellows in good standing. 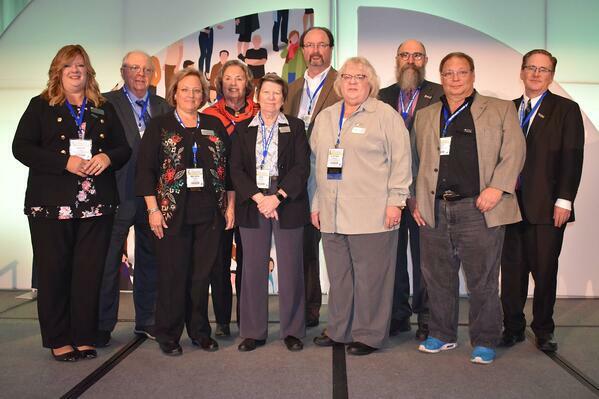 Nominators must be an AAST Fellow with membership in good standing and have the nominee's current curriculum vitae in a Word-compatible format. 2017 inductees were formally inducted at the AAST 2018 Annual Meeting. The Board of Directors is currently evaluating the application process for the 2018 inductees to ensure an annual cycle that begins at the same time each year. Information and timeline about the timing of the 2018 inductees will be forthcoming.